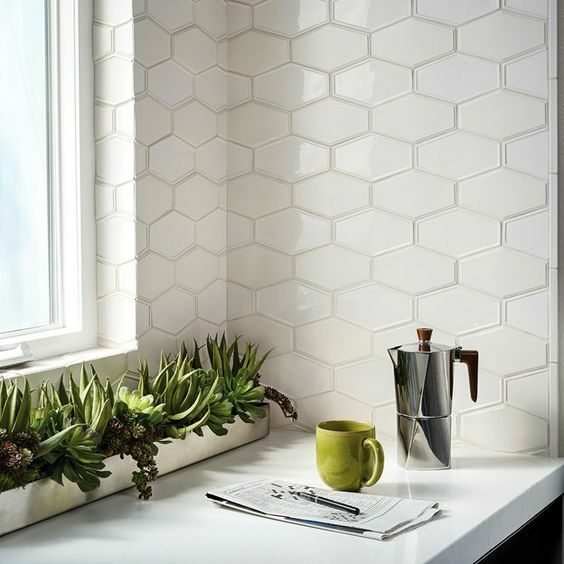 Hex tiles are timeless and chic, they can be used anywhere, from an entryway to a bathroom, there are a lot of shades and sizes to use. 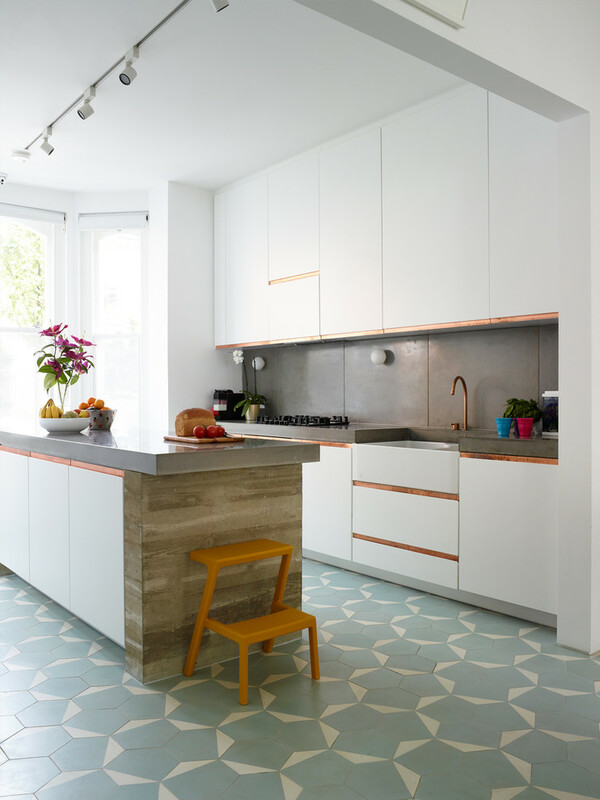 They can be used on the floors or walls, you can create patterns you like and fit them into almost any style – from mid-century modern to minimalist. 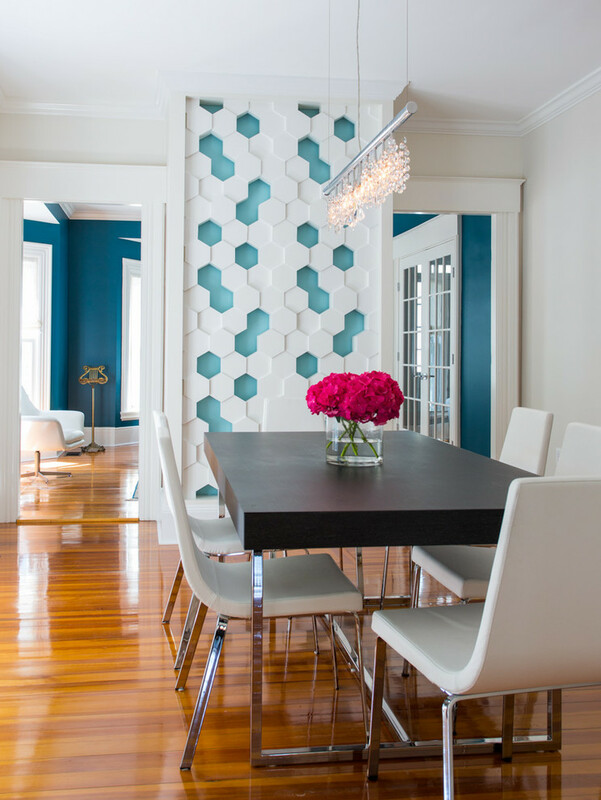 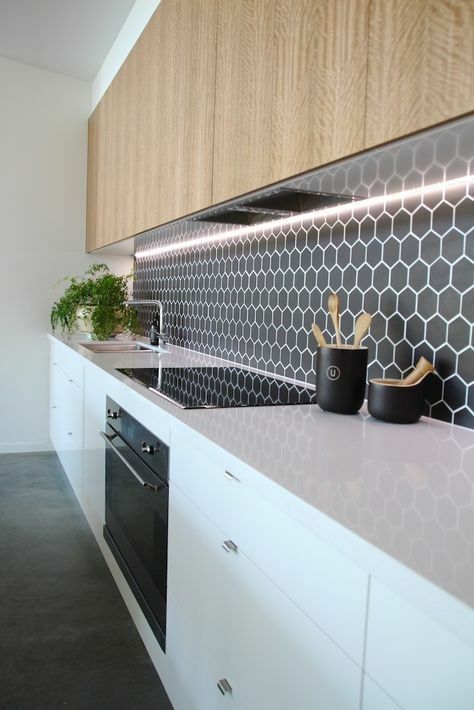 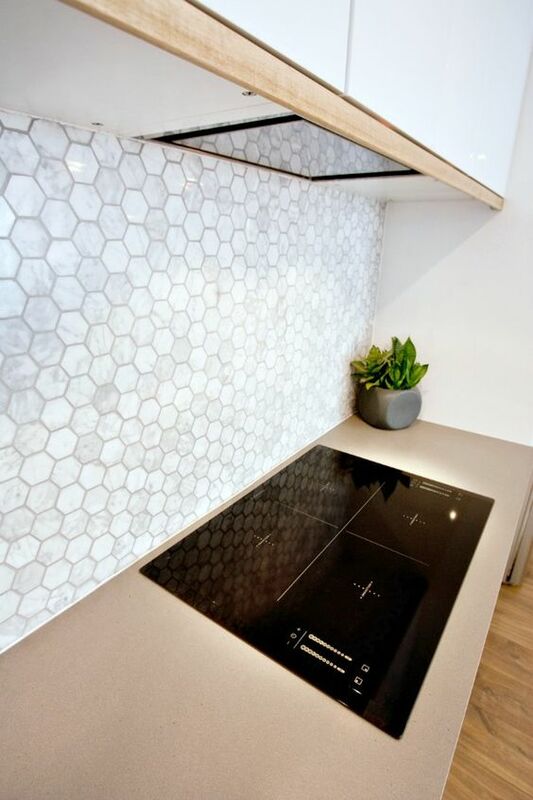 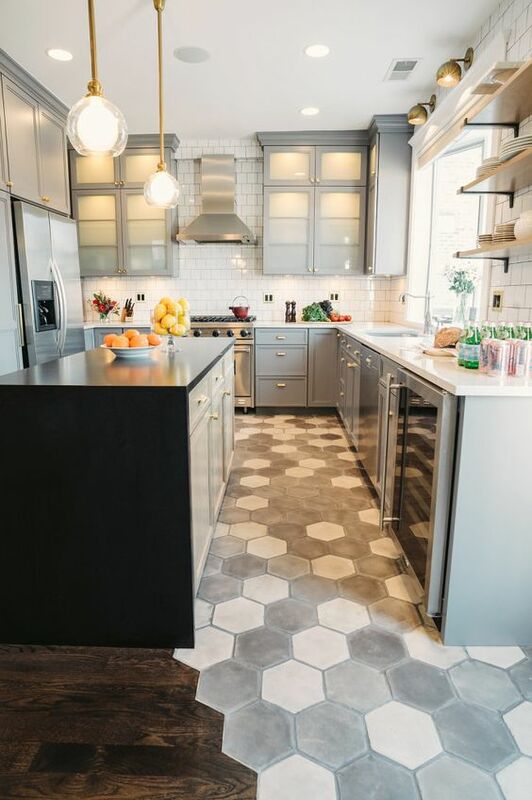 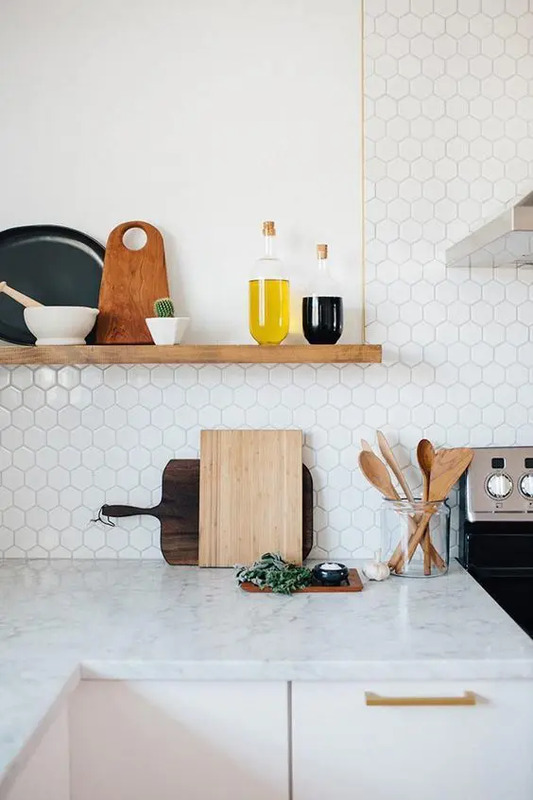 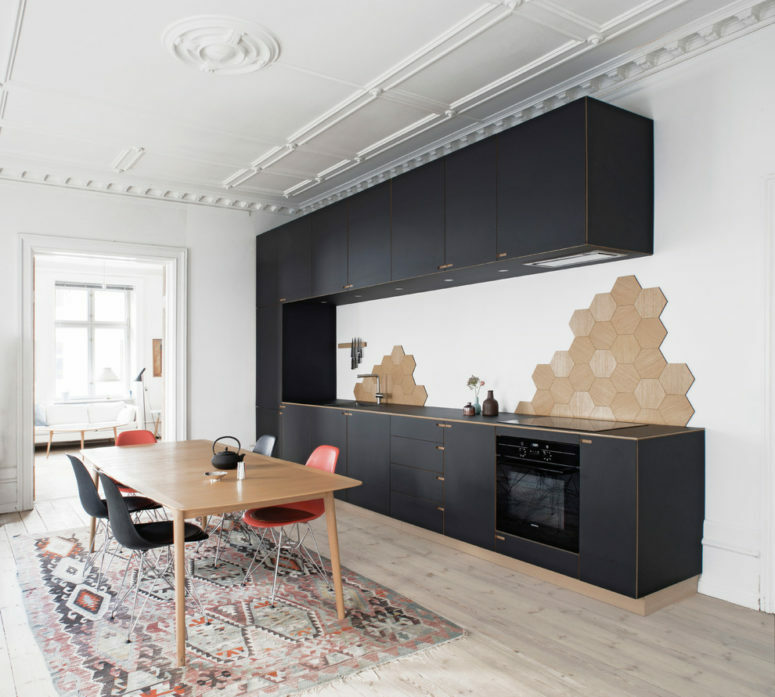 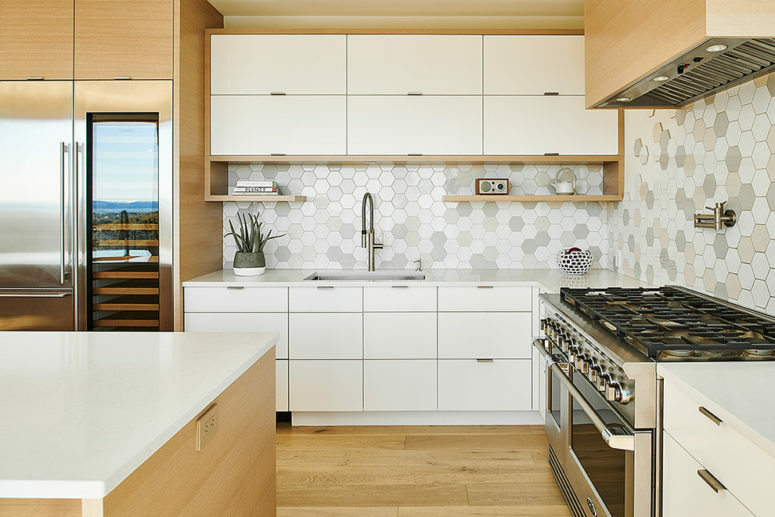 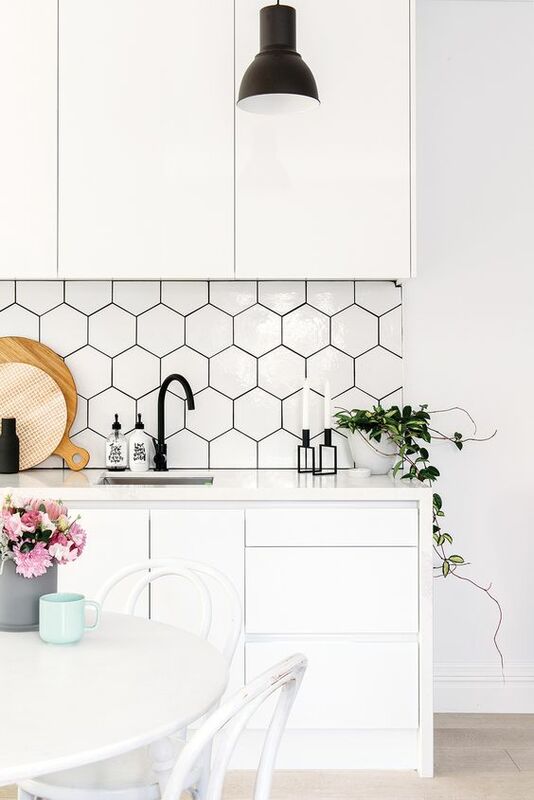 Today we are going to have a look at the ideas to use hexagon tiles in the kitchen, they can be used for backsplashes, walls or floors and you can make a bold statement with honeycomb tiles of some contrasting color. 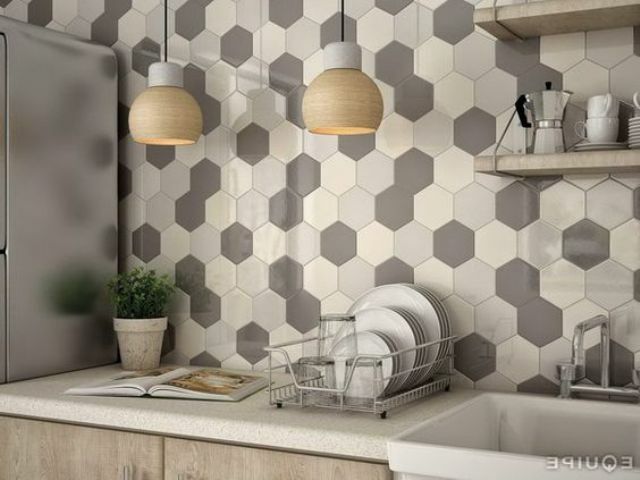 Hexagon tiles on the walls and backsplashes are very popular: they have an eye-catchy geometric shape and look very stylish. 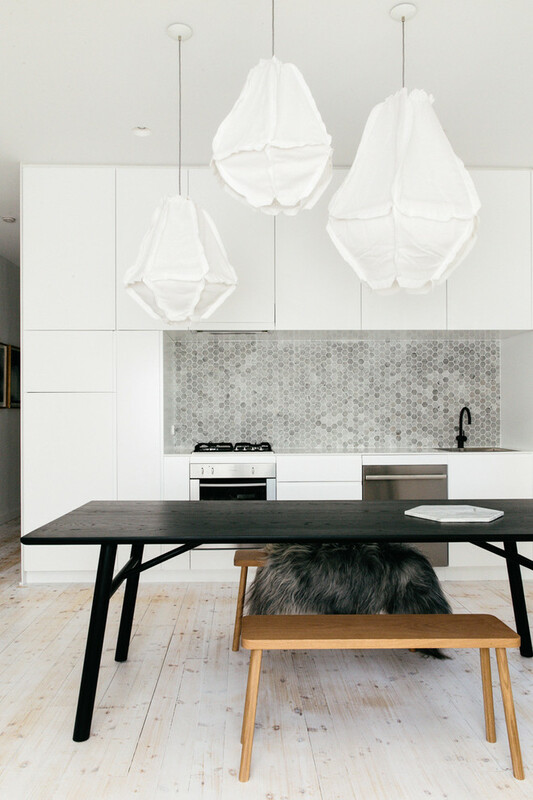 They can be small or large, dark or light and they will look gorgeous! 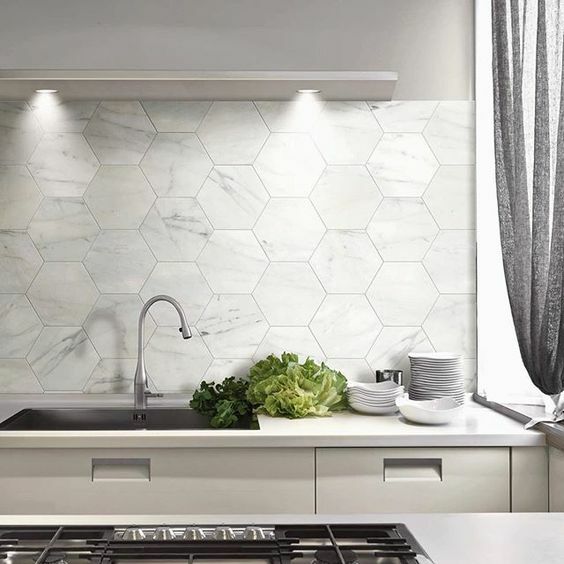 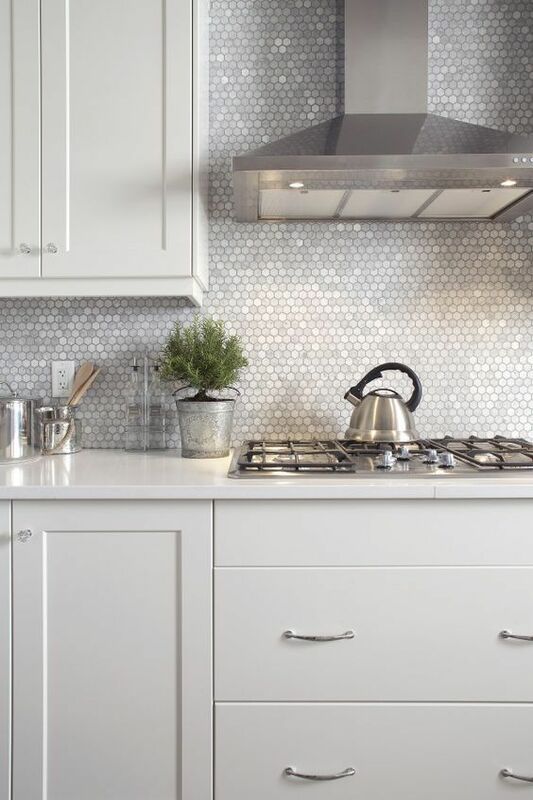 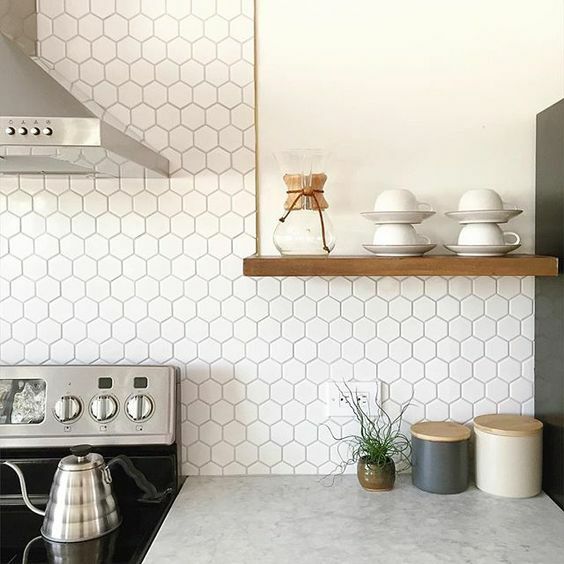 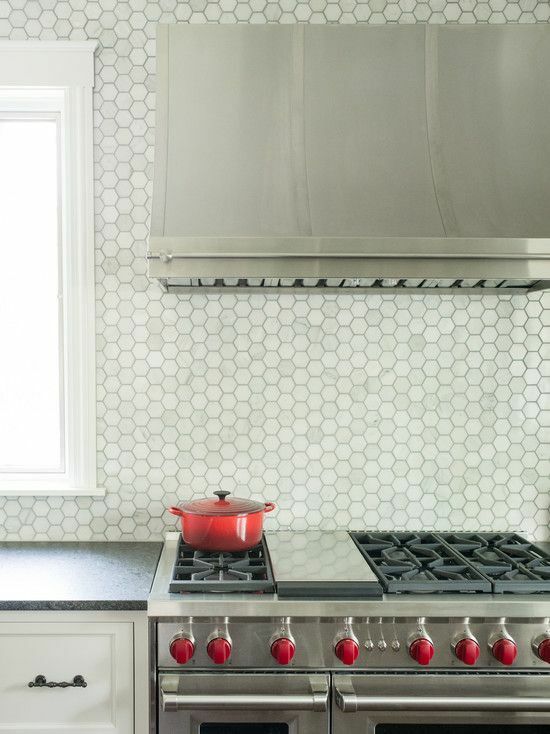 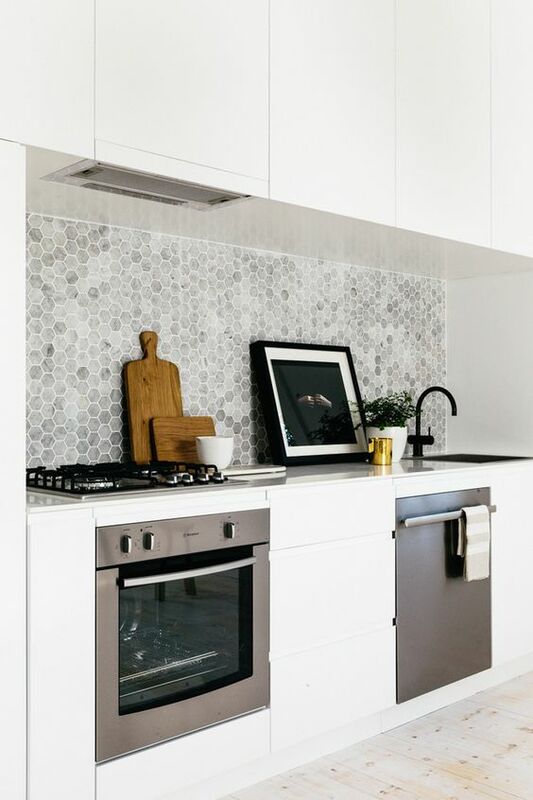 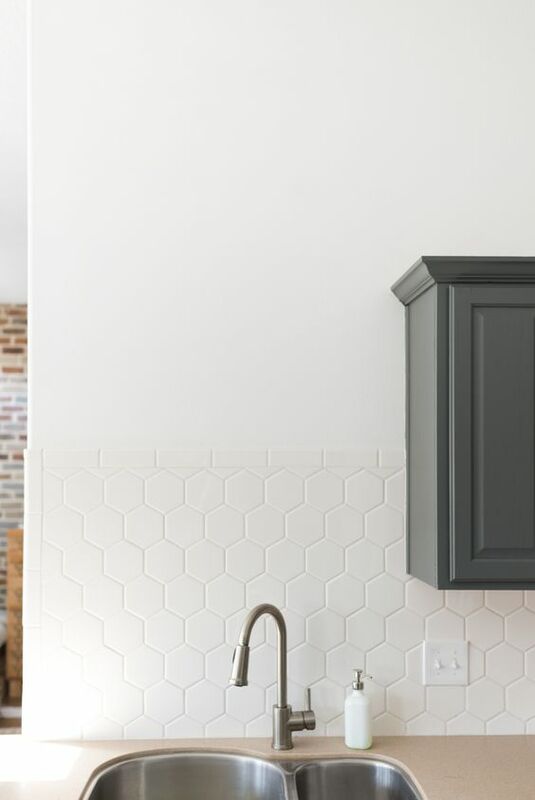 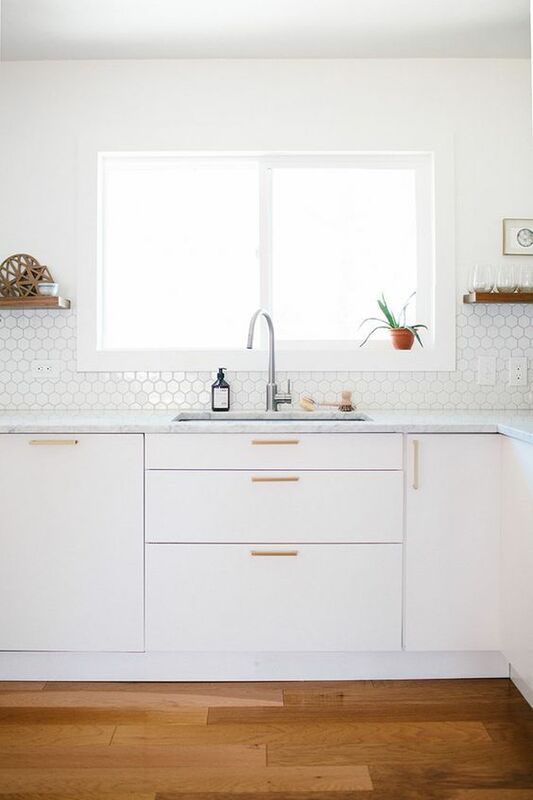 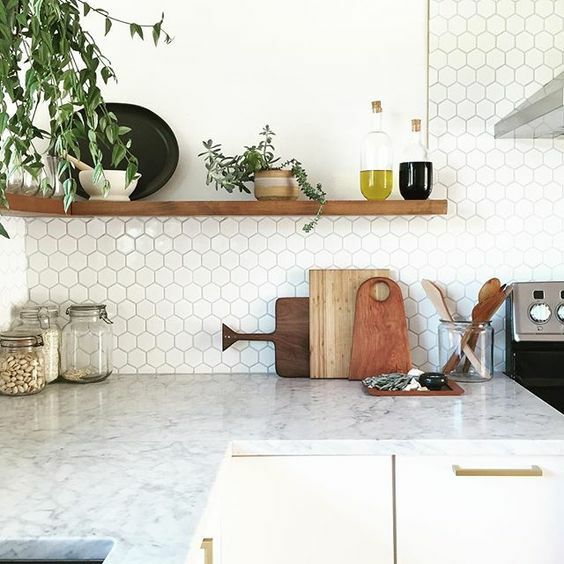 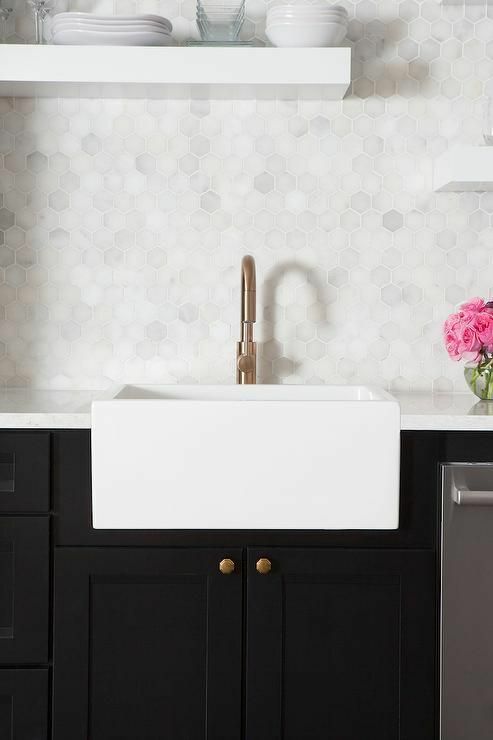 A marble grey or white hex tile backsplash is the most popular idea because it’s neutral and looks delicate, such a backsplash can fit any kitchen. 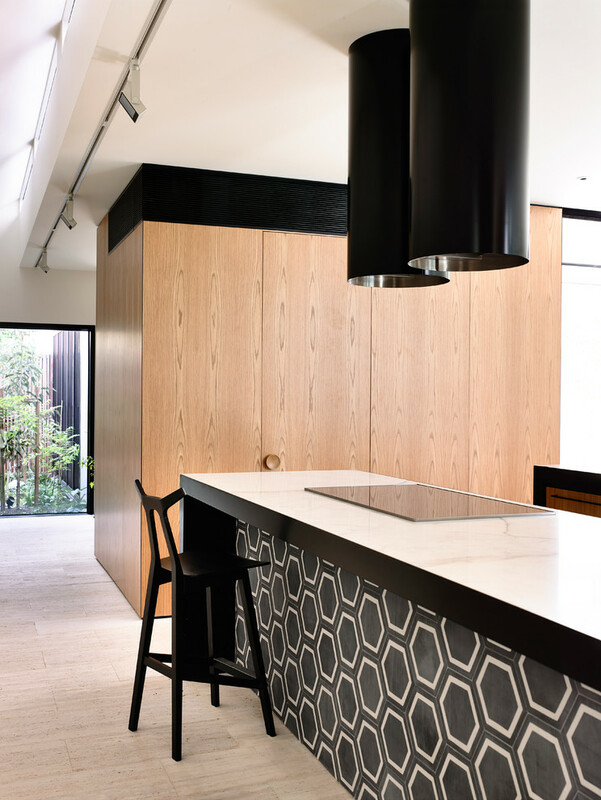 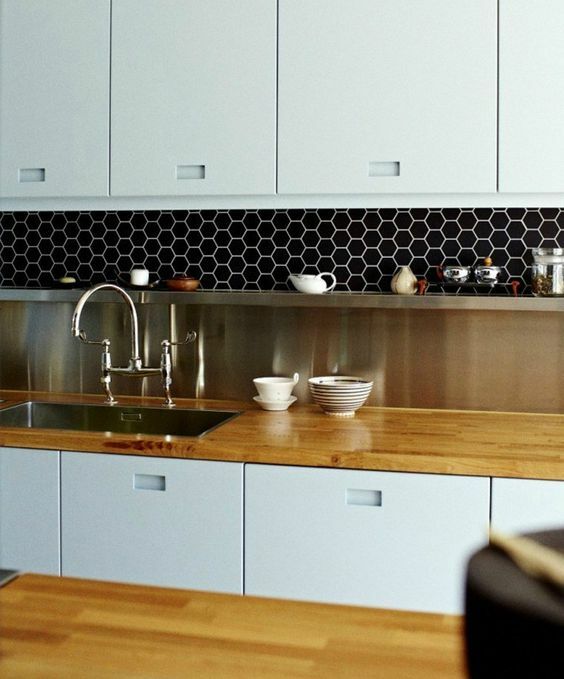 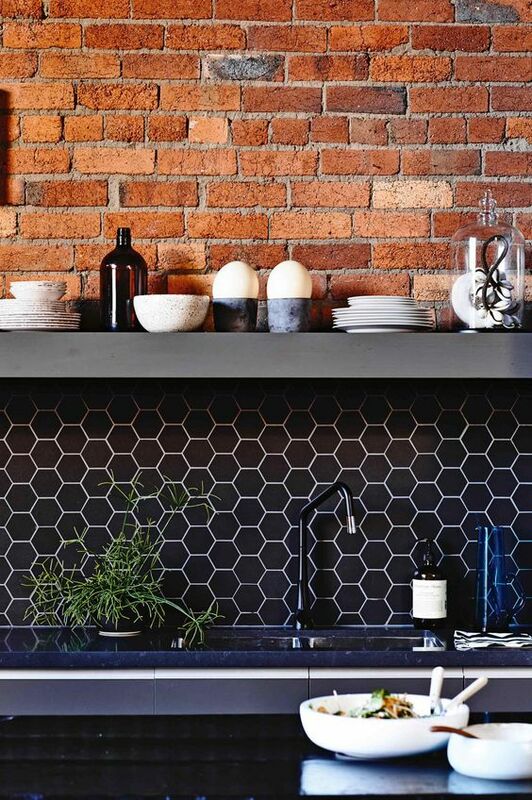 Black or dark hexagon tiles can make a statement in a neutral or warm wood kitchen. 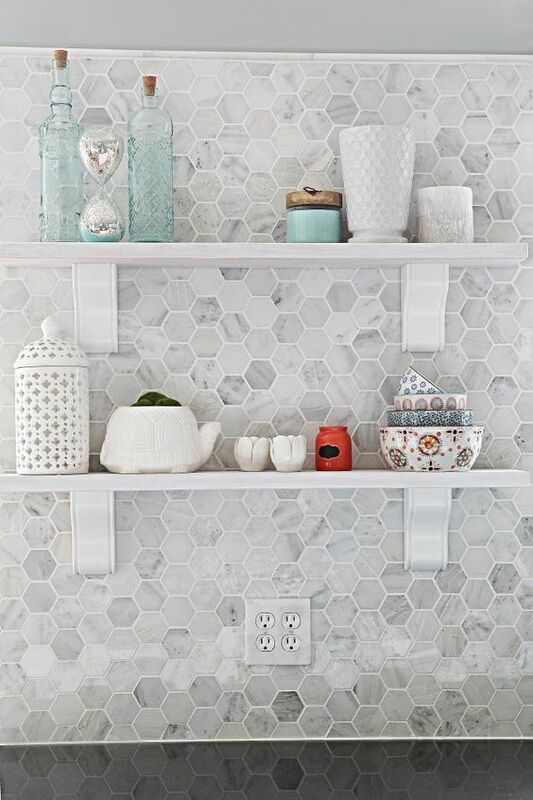 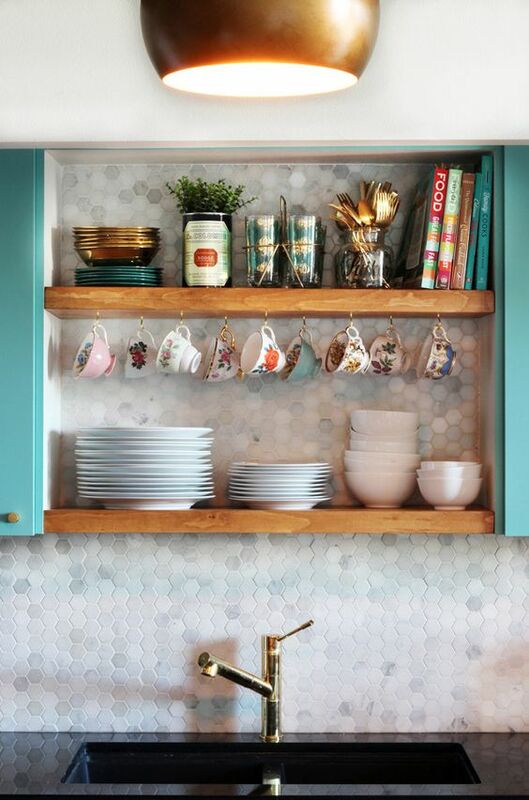 One more idea is rocking an ombre or mosaic tile honeycomb backsplash that will stand out very much in any kitchen. 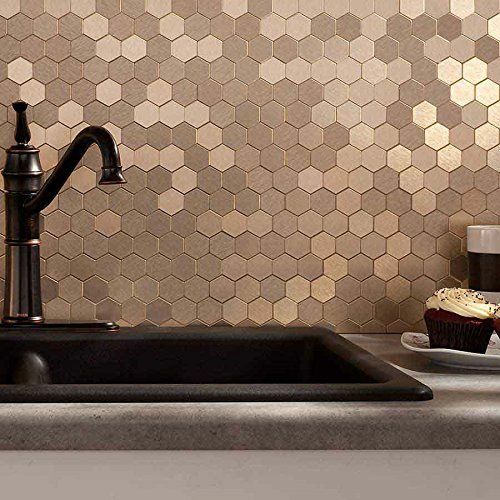 A metallic – copper or gold – hex tile backsplash will add a refined touch to any kitchen, and it looks very cool with dark cabinets. 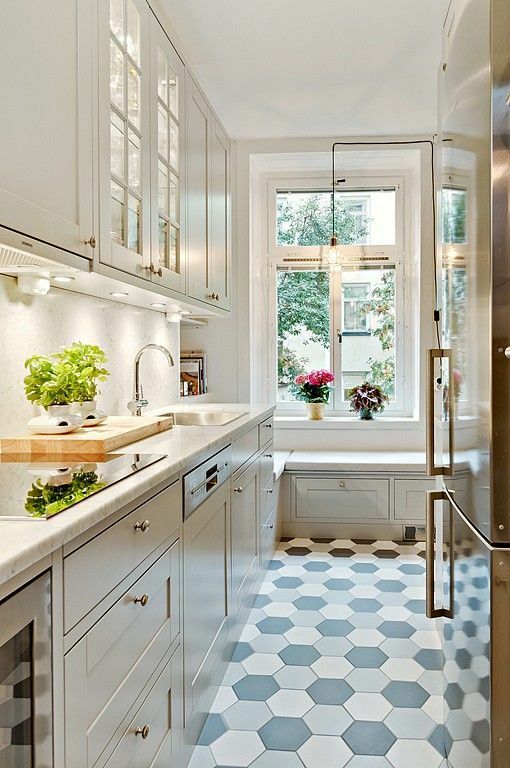 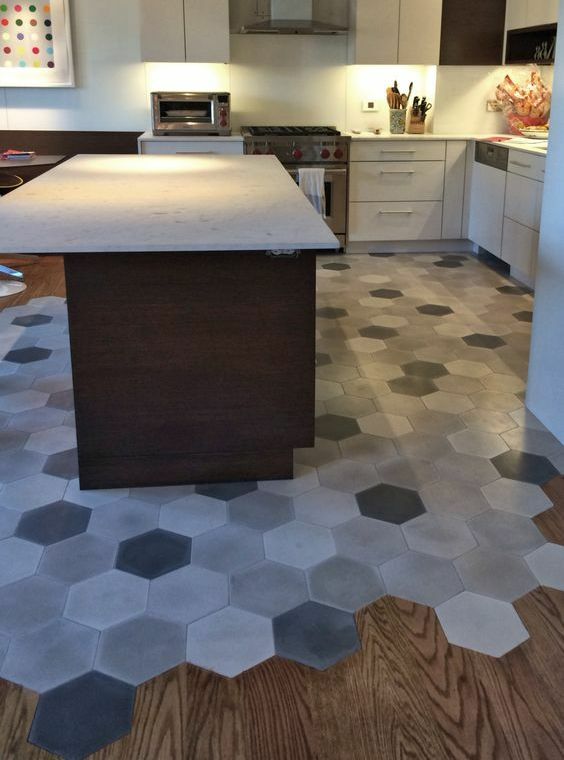 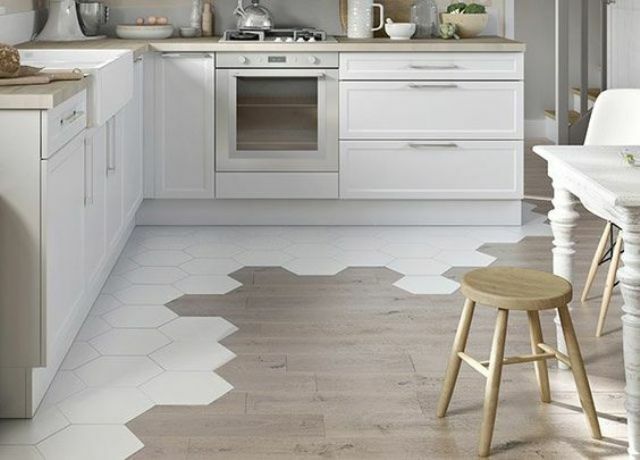 Hexagon tiles are often used on the kitchen floors because tiles are durable, water-resistant and look cool. 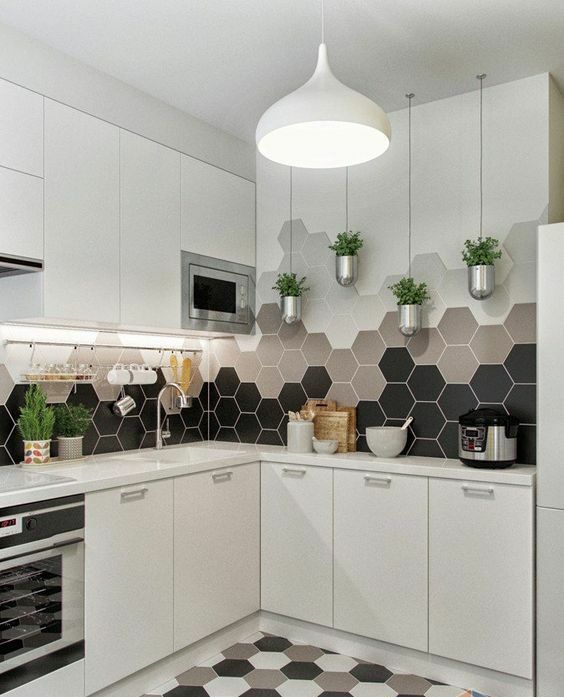 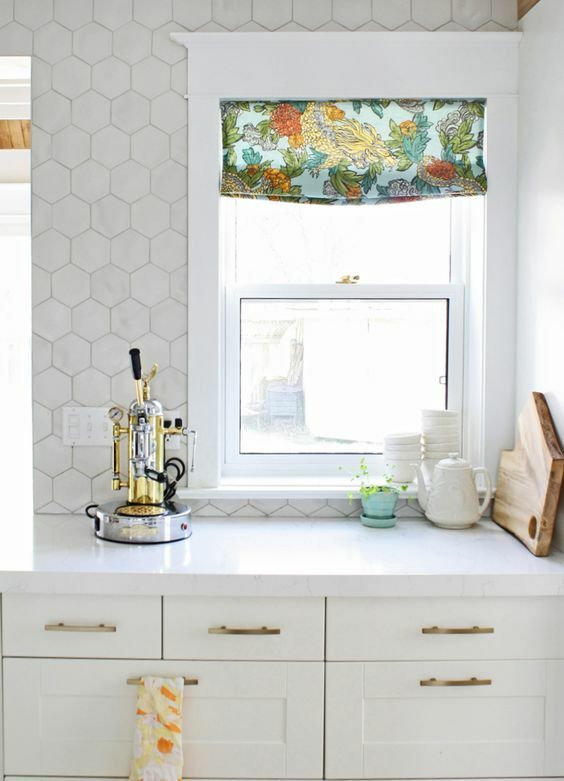 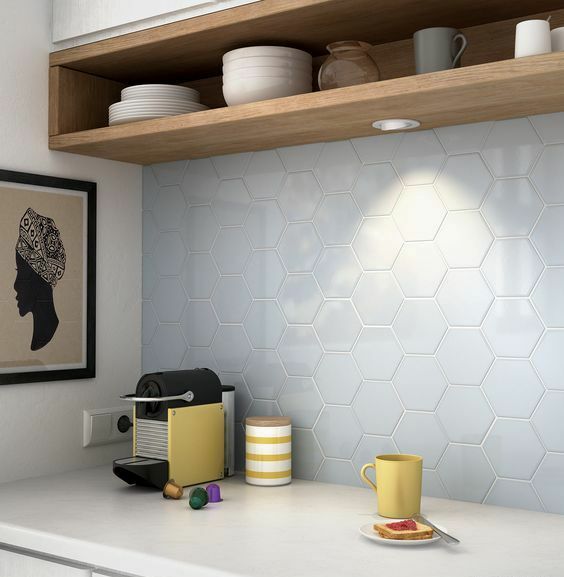 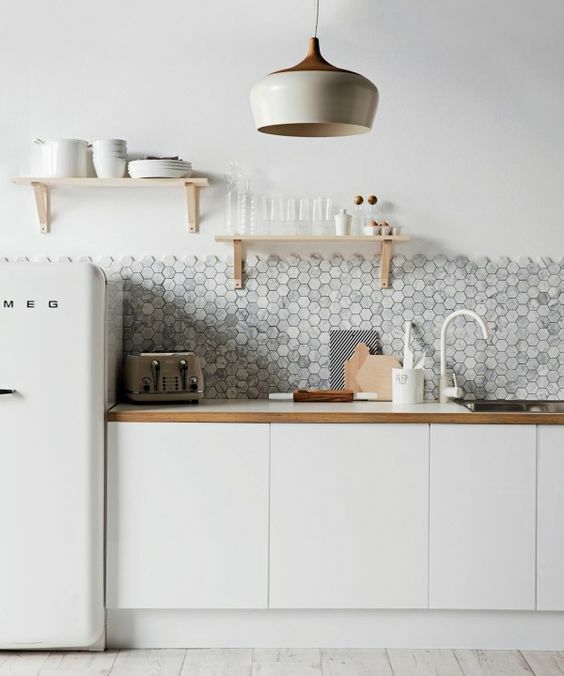 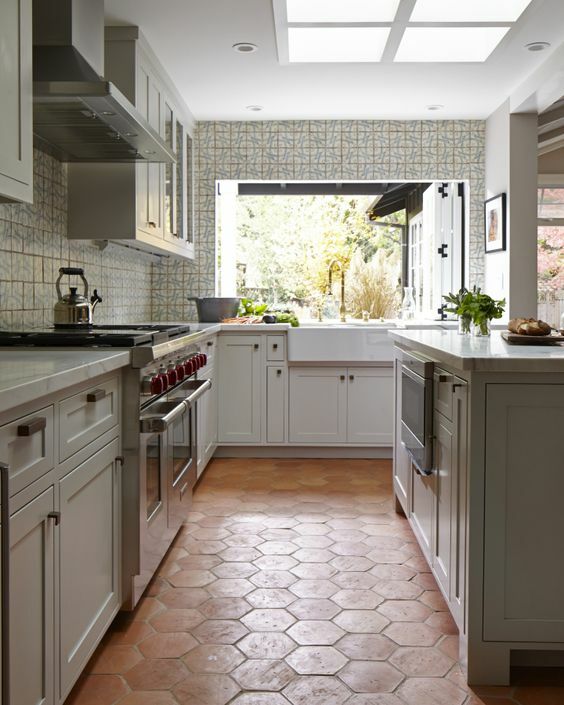 Honeycomb tiles look especially cool because they give your kitchen a character and style. 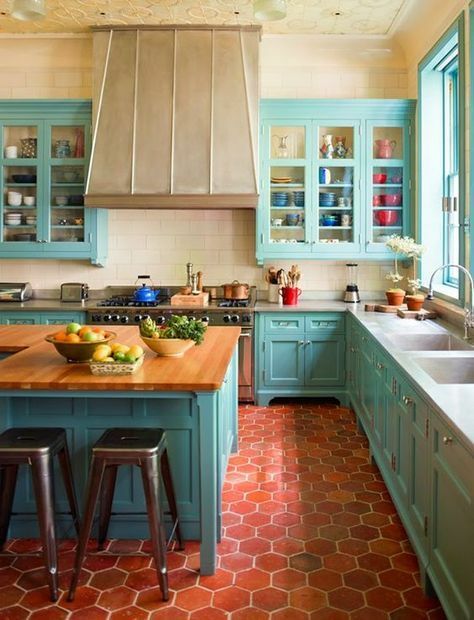 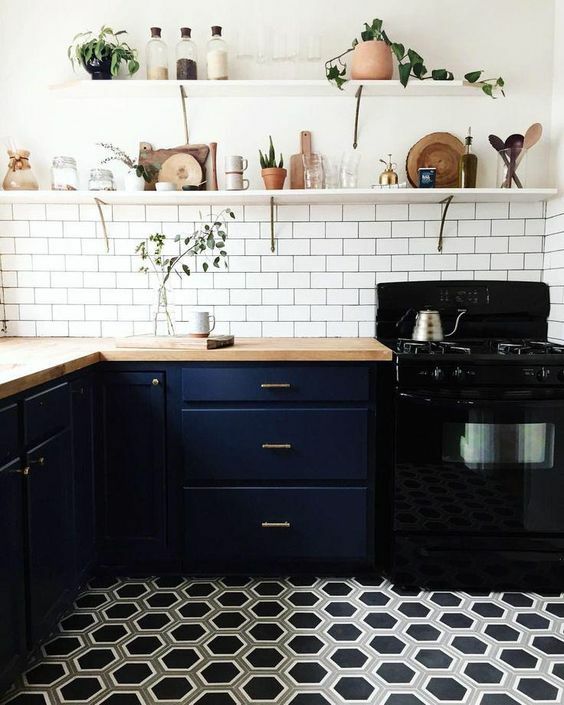 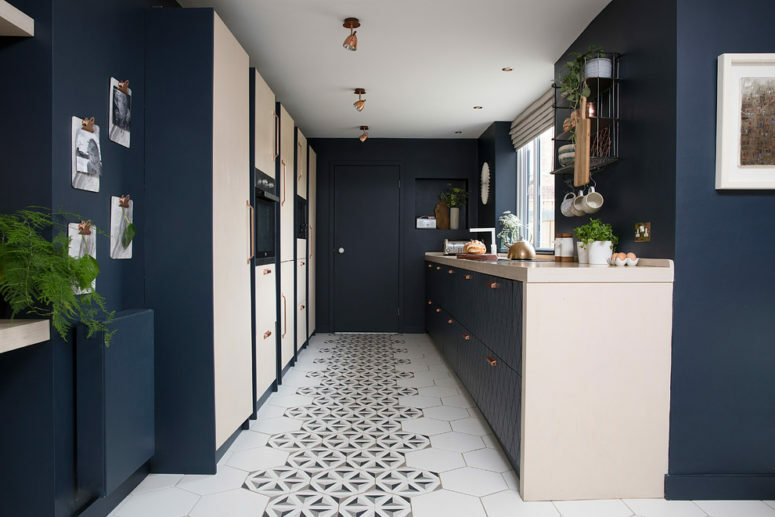 make a bold statement with contrasting floor tiles, for example, red hex tiles and turquoise cabinets, or white tiles and navy cabinets. 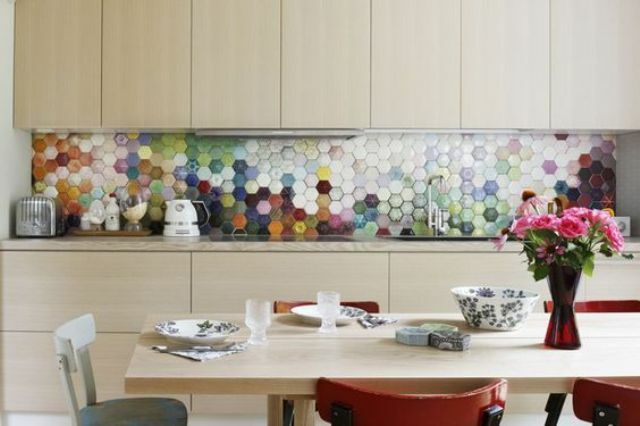 To highlight your décor and colors, you may use hex tiles mosaics in the same shades. 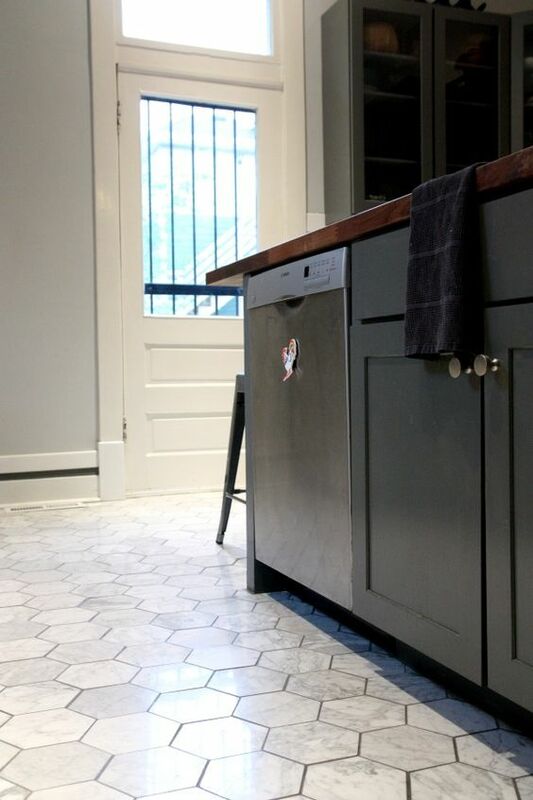 There’s also a hot trend of transitioning floors: tiles going into hardwood floors. 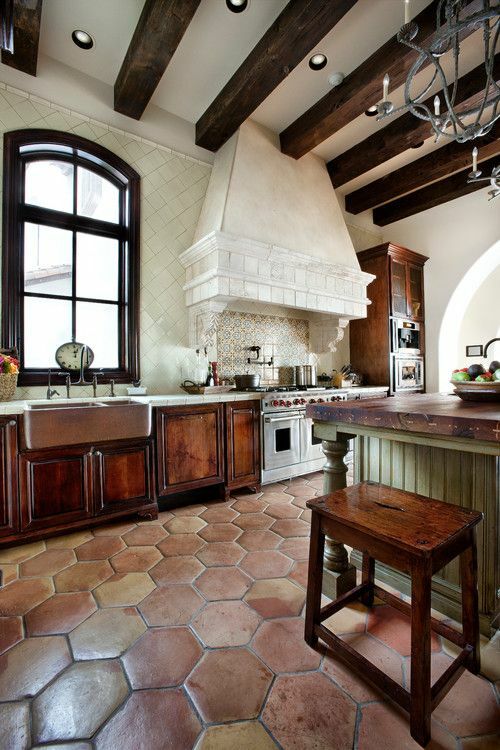 Such floors look stunning and unforgettable, the more hardwood and tiles contrast with each other, the better. 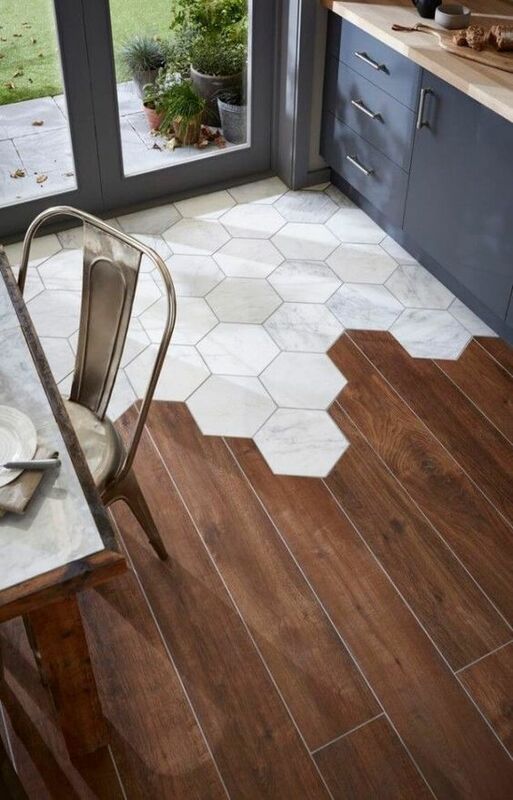 Such floor transitioning will easily separate your kitchen from your dining zone, make tiles in the kitchen and wood in the dining area. 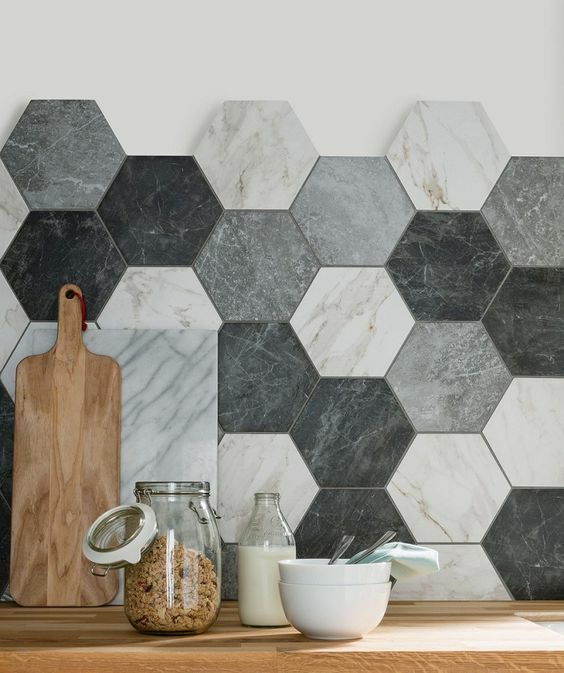 You can also use hex tiles both on the walls and floors, for example, honeycomb tiles on the walls creating an ombre effect and some neutral tiles on the floor. 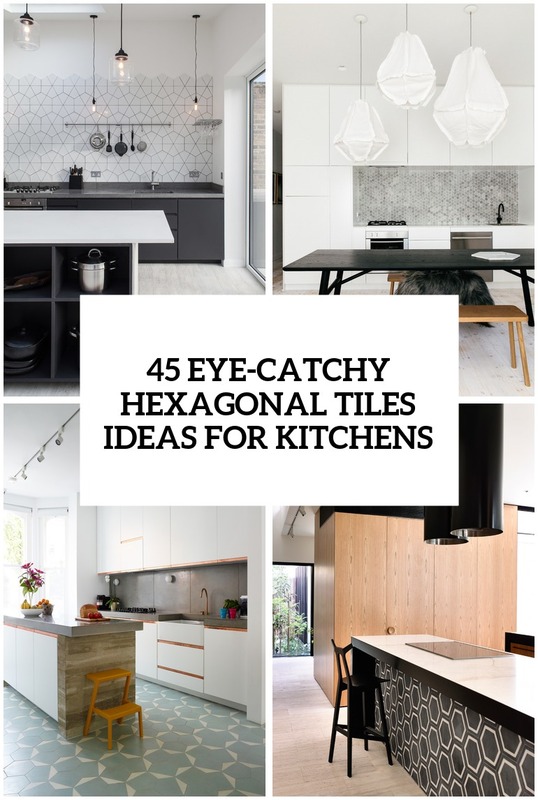 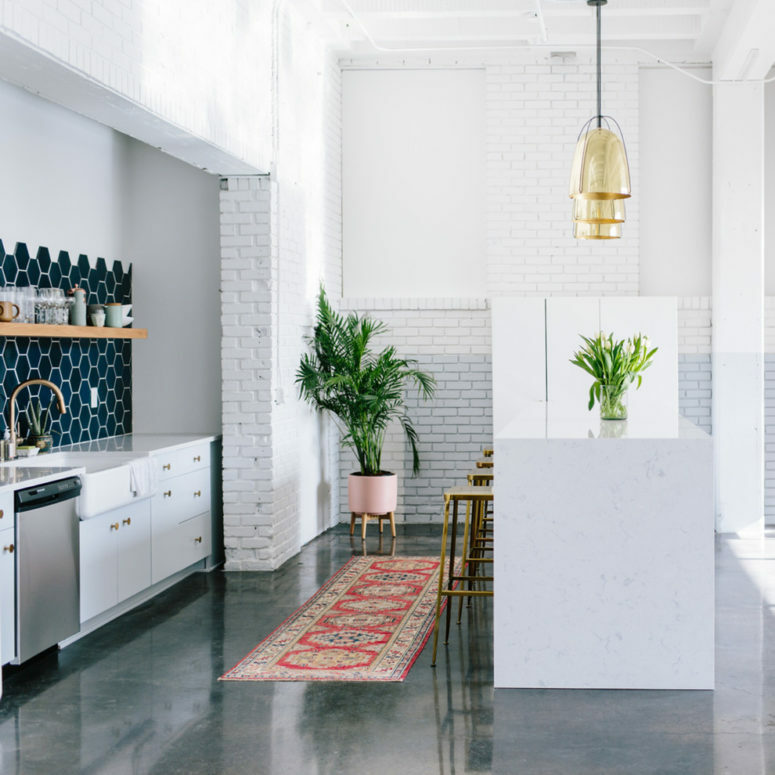 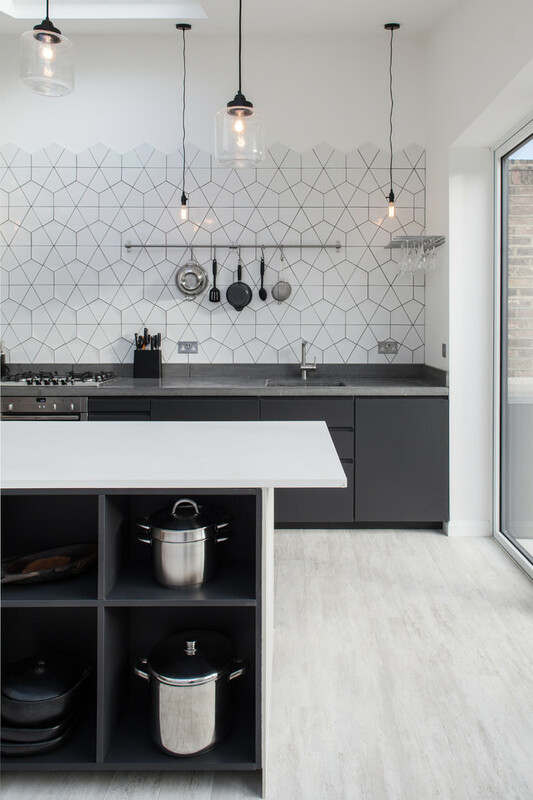 Such cool geometric decor will make your kitchen super modern.